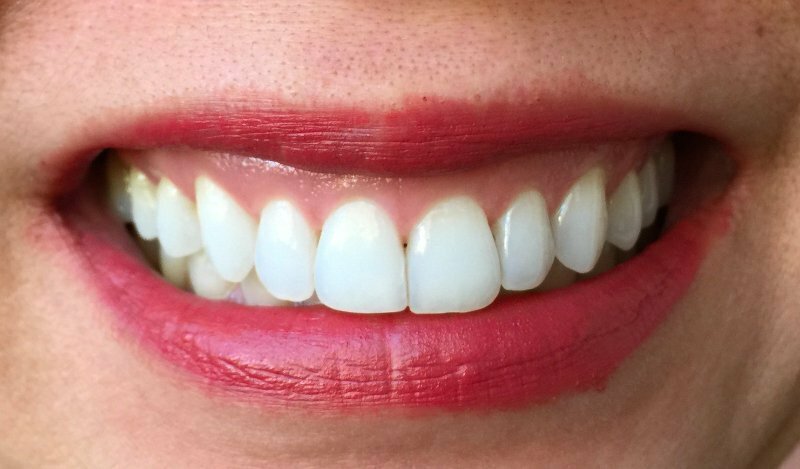 These days, there are a variety of products and techniques available for patients who want to try teeth whitening! The best way to begin any teeth whitening treatment is to request a consultation and talk to your dentist about what choice is best for you depending on your needs. We offer at-home teeth whitening. We offer new, convenient and quick teeth whitening technique: Opalescense Go. You wear the pre-made trays for 20 to 30 minutes, once a day, for 3 to 7 days to see the whiteness you like. It is less expensive. A box of 10 sets for ten days, costs only around $70-$100. NO impression and no time waiting for customized trays to be made. Please call if you are interested. One major down side about whitening your teeth is sensitivity from mild to severe depends on how your teeth and your pain tolerance is. You can try the lowest to highest (10%, 15%, 20%) concentration of Hydrogen peroxide in the whitening gel. You can not whiten your teeth if you have already had veneers, crowns and large fillings in front teeth because they will not change the color after whitening your natural teeth. You can not whiten your teeth if you have holes and many cavities. You can not whiten your teeth if you have moderate to severe gum recession because these cause extreme pain. Tray bleaching is a type of professional whitening that uses custom-made trays and whitening gel only available through your dentist. For this technique, you need to make appointment to make impression of your teeth to make the custom trays, wait a few hours to a few days to have the trays ready, then wear at night or during day for 2-5 hours depend on the concentration of Carbamide hydroxide ( 10%,1 5%, 20%). As the Opalescence Go, it takes 3-5 times to see the whiteness you like. For use with customized take-home whitening trays, Opalescence PF contains Carbamide peroxide offers many options for patients. With its easy syringe delivery, Opalescence PF is easily customizable for each patient’s individual situation. The gel contains 20% water to prevent dehydration, and the sticky, viscous formula helps keep the gel and tray in place. With four concentrations and three flavors, patients can completely customize their whitening experience. Contact Menlo Park Dental Excellence in Menlo Park, CA today to request a complimentary consultation!